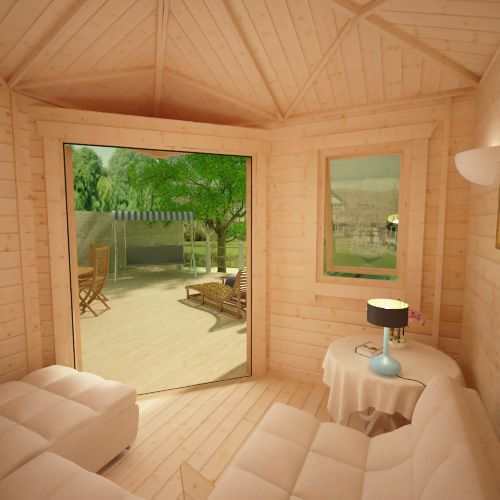 The Bengal Corner Cabin is an elegant garden building, specifically designed to maximise available space. 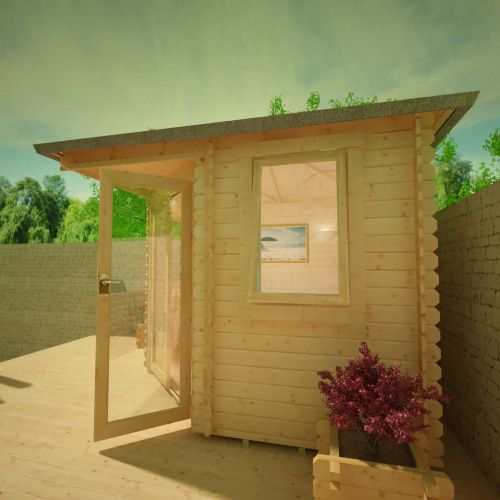 The Bengal Corner Cabin sits perfectly in the corner of a garden, helping you make the best of the space available. 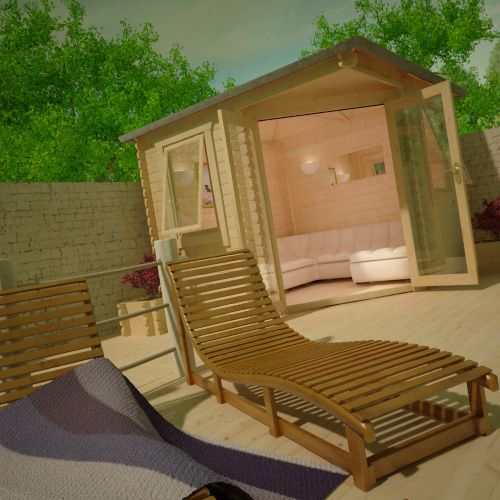 The Bengal Corner Cabin is an ideal outdoor office, workspace or just a place to spend those long summer days. Needed somewhere for storage and work. Perfect product just for that! Very happy with the service provided! 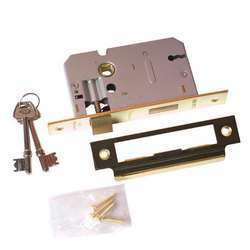 My husband went through with the order of the cabin but I wanted to make sure we put a review on as I love this product and are very happy with the service. The delivery was fast and as I was the one to answer to the delivery driver was polite and friendly which is always a pleasure. We're both very happy with the service and product!!! Spent a lot of time searching for the right product at the right price! Very happy I came across Tiger Sheds as the service was great as well as the product! Me and my wife wanted something beautiful for our garden. We've put a lot of time into the garden so seeked a stunning product that would just finish our little project off. The Bengal Cabin looks more than stunning now it's been erected and decorated, it's a fantastic deisgn and made to the highest quality. During the order process I found the staff at Tiger Sheds to be helpful, efficent and friendly. The delivery man was also very friendly! 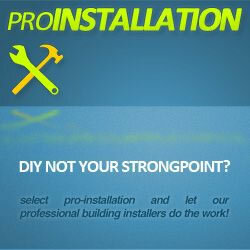 Very good product and service. All sizes come with draft sealed double doors and joiner made opening windows, ensuring your cabin will be both warm and secure. 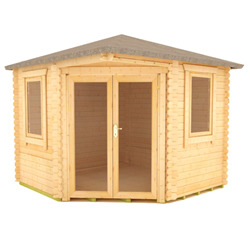 All glazing on this building is toughened for safety and security free of charge, Optionally you can upgrade to our heavy duty coloured shingles to really complete this log cabin. 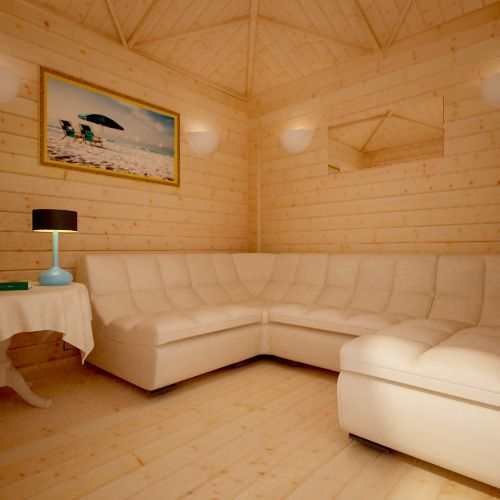 As with all Tiger Log Cabins, assembly it made incredibly easy, with a modular floor and easy fit log system. 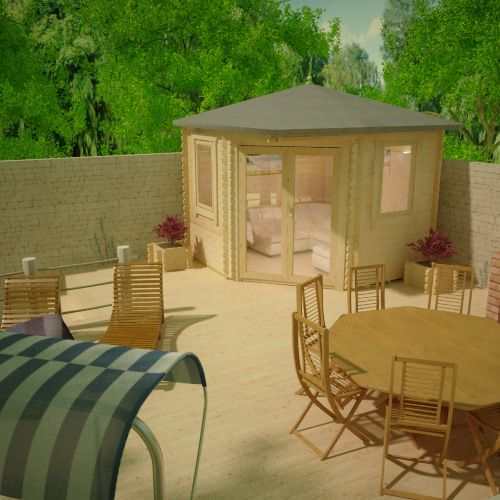 The Bengal Corner Cabin also comes with toughened glass single pane double doors and windows allowing maximum light into the amazing garden building. Ideal as an outdoor office or simply an outdoor space, we are sure you will enjoy spending hours within it. 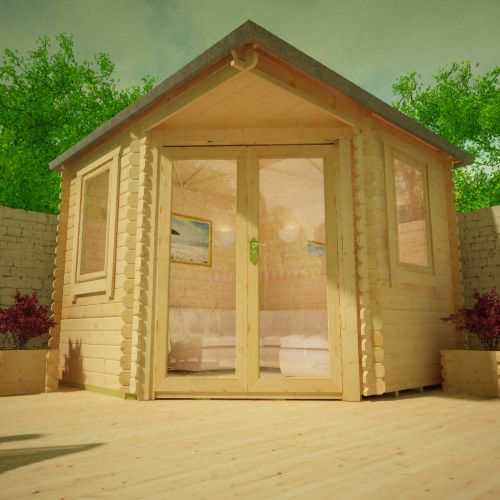 TIGER LOG CABINS feature high-grade 28mm interlocking planned and finished logs – beware of log cabins that feature rough edged boards machined from poor quality timber. 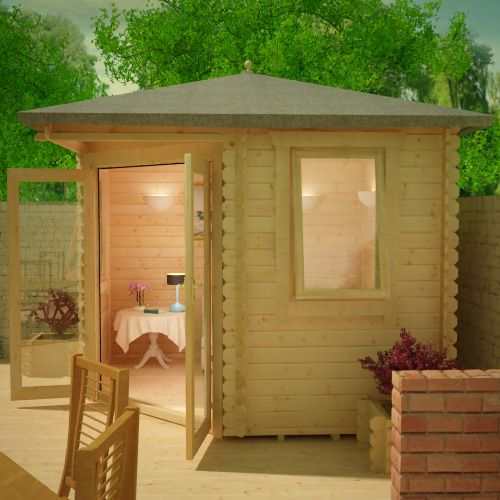 TIGER LOG CABINS feature a specially designed 4-way chamfered notch-joint system ensuring a tight fit to all boards with little room for damp or wind penetration – beware of log cabins that feature square cut logs with square notch-joint, often leaving a sloppy joint with large visible gaps. TIGER LOG CABINS feature heavy duty green mineral roofing felt as standard, with the easy option to upgrade to premium quality roof shingles – beware of log cabins that come with no roof covering, leaving the cabin completely open to the elements. 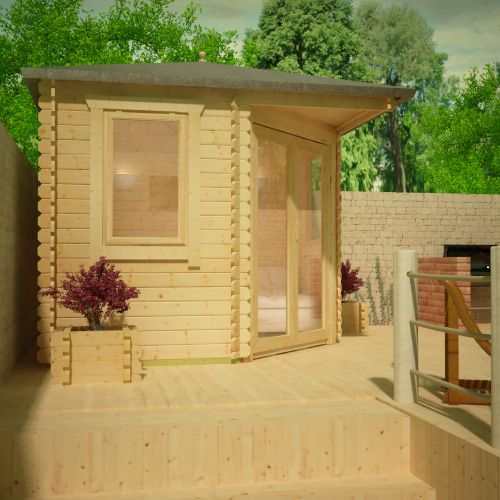 TIGER LOG CABINS feature oversized extra large doors and windows – most competitor log cabins use narrow doors which can prove difficult for access. TIGER LOG CABINS feature high quality glazing which is factory siliconed and internally beaded to all windows – beware of log cabins that feature lesser quality materials and provide no window beading. 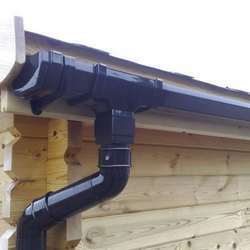 TIGER LOG CABINS feature a generous all round roof overhang which protects the building from severe conditions – beware of log cabins with little or no roof overhanging leaving them vulnerable to the wind and rain.